Wilderness Family Naturals – For over 20 years Ken and Annette have purposed to live clean healthy lives, believing that a diet with nutrient dense foods is key. We are here to serve you from the wilderness of northern Minnesota. As a family run business, we strive to supply all our customers with quality healthy foods that you can trust. They do have a Buying Club program for orders of $300 or more. 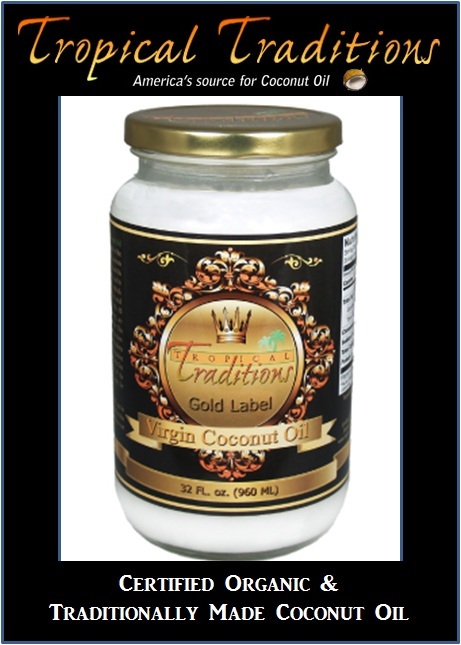 They offer a variety of products including coconut oil. Many of their products can also be found at Amazon.com and coconut oil, red palm oil and popcorn oil at Simply Real Foods Market. Simply Real Foods Market Enter the Simply Real Foods Market. Don’t have an organic food store or farmer’s market in your city? Not a problem. Can’t afford the high price of natural, non-GMO foods? The Simply Real Foods Market sells natural and organic, non-GMO foods at wholesale prices, and delivers them directly to your doorstep. The Simply Real Foods Market is amoung the very few – actually, we are the only company we know – to ship your essential frozen and refrigerated organic products, along with the other shelf-stable products that you use regularly! We have everything from grass-fed, grass-finished beef to par-baked organic breads and much more. We carry hundreds of your favorite brands, and even ship fresh produce harvested directly from organic farms. Our Harvest Fresh program has been temporarily discontinued due to produce seasonality and numerous logistical and environmental issues. We are working on developing better long-term solutions that will enable us to supply your demand for fresh, organic produce at lower prices, with year-round availability, faster delivery and less impact on our environment (Judy’s notes – check back soon for an update – their fresh organic fruits and vegetables were great and I look forward to ordering from them again soon). Simply Real Foods Market Don’t have an organic food store or farmer’s market in your city? Not a problem. We have everything from grass-fed, grass-finished beef to par-baked organic breads and much more. We carry hundreds of your favorite brands, and even ship fresh produce harvested directly from organic farms. Can’t afford the high price of natural, non-GMO foods? The Simply Real Foods Market sells natural and organic, non-GMO foods at wholesale prices, and delivers them directly to your doorstep. Wilderness Family Naturals – For over 20 years Ken and Annette have purposed to live clean healthy lives, believing that a diet with nutrient dense foods is key. We are here to serve you from the wilderness of northern Minnesota. As a family run business, we strive to supply all our customers with quality healthy foods that you can trust. They do have a Buying Club program for orders of $300 or more. They offer a variety of products: agave, sugar, chocolate & cacao, coconut products, oils, dressing & condiments, herbs & spices, kosher products, nuts & seeds (& nut butters), raw producs, rice & grains, etc. Many of their products can also be found at Amazon.com and their coconut products at Simply Real Foods Market. Agave – available thru Amazon: Xagave, Madhava & Wholesome Sweeteners and at Simply Real Foods Market. Sucanat – available thru Amazon: Wholesome Sweeteners. Wholesome Sweeteners and other brands of Sucanat can be found at Simply Real Foods Market. Coconut Palm Sugar – available thru Amazon: Wholesome Sweeteners & Wilderness Family Naturals. Wholesome Sweeteners and other brands of Coconut Palm can be found at Simply Real Foods Market. Simply Real Foods Market Enter the Simply Real Foods Market. Don’t have an organic food store or farmer’s market in your city? Not a problem. Can’t afford the high price of natural, non-GMO foods? We’ve got you covered. The Simply Real Foods Market sells natural and organic, non-GMO foods at wholesale prices, and delivers them directly to your doorstep. We carry hundreds of your favorite brands, and even ship fresh produce harvested directly from organic farms.